John DeGaul, president of High On Demand, is one of the few successful entrepreneurs Montreal's rave community has produced. His drug subscription business rakes in hundreds of thousands of dollars in revenue every week and currently employs fifteen people. "The illicit narcotic industry is in dire straights because most drug dealers aren't very innovative," says John. "My business, High On Demand, is all about innovation. Drug dealing has become a passionless enterprise for most dealers. They treat drugs like a mere commodity. I view it as a luxury service. Getting high is an experience, and that's what I'm in the business of selling. Not drugs, but experiences." John considers himself the Netflix of the drug dealing world. "How I sell drugs is just as important as the quality of the drugs I sell. Branding, packaging, image. It's all important. My clients expect elegance, ease, and class. They don't want to worry about the drugs they're taking. They want reliability and they want convenience. Using High on Demand, they get it." High On Demand offers subscribers their choice of narcotics and delivery schedules. "We make everything as simple as possible for our subscribers. Once they've signed up with us, they get access to a secret website, and depending on their subscription package that they choose, we'll send them a regular supply of whatever drugs their heart desires. We ship them in air tight containers that come in a variety of styles. Our high end subscribers absolutely love our diamond engraved stainless steel models." John is optimistic about the future of High On Demand. "The more subscribers we get, the better our services become. We've added fifteen new varieties of marijuana this month alone. 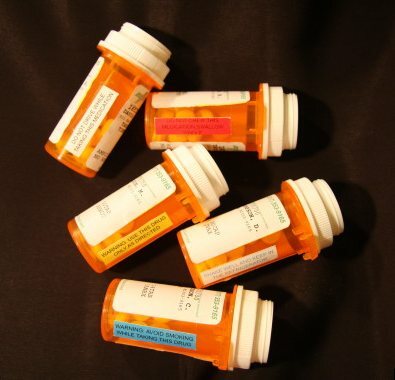 The amount of drugs regular subscribers could get in a month has doubled over the last year. A larger membership base means cheap drugs, because the more people we have, the cheaper harvesting and procuring drugs becomes." One new service John's especially excited about is Drop Off Plus. "Some of our customers are paranoid about being caught by the police, so we've started experimenting with secret drop off locations. Once a month, we deliver our containers to out of the way locations which customers can choose via our website. It's an incredibly simple process." John says the only downside to High On Demand's profit margins are the occasional crooks who try to game the system. "Since we're not the most legal of operations, we can't expect the police to help us deal with our wayward customers. However, we have an effective security team in place that can be sent out to savagely beat a subscriber whenever it needs to be done. It's magical." Bruno Botwin, one of High On Demand's enforcers, agrees. "John has built something truly special. Even the way he has us beat people up is stylish. We only use the finest iron pipes, we make sure to clean up after ourselves. We might bloody your nose, but we won't bloody your carpet. Details matter. The little things make a difference."